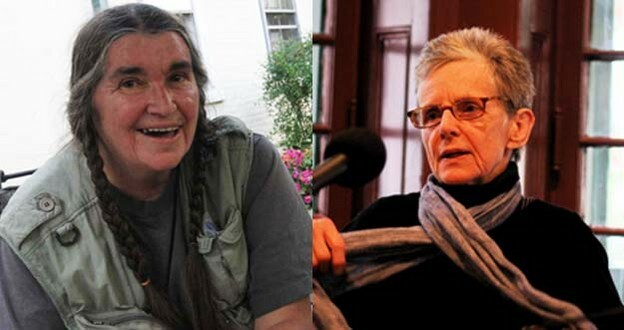 Bernadette Mayer (left) and Susan Howe (right). Editorial note: Episodes of Susan Howe’s show aired on WBAI (NY)/Pacifica Radio are available at PennSound as the result of a collaboration with the Archive for New Poetry at the University of California, San Diego. On April 22, 1979, Howe hosted a conversation with Bernadette Mayer for WBAI/Pacifica.